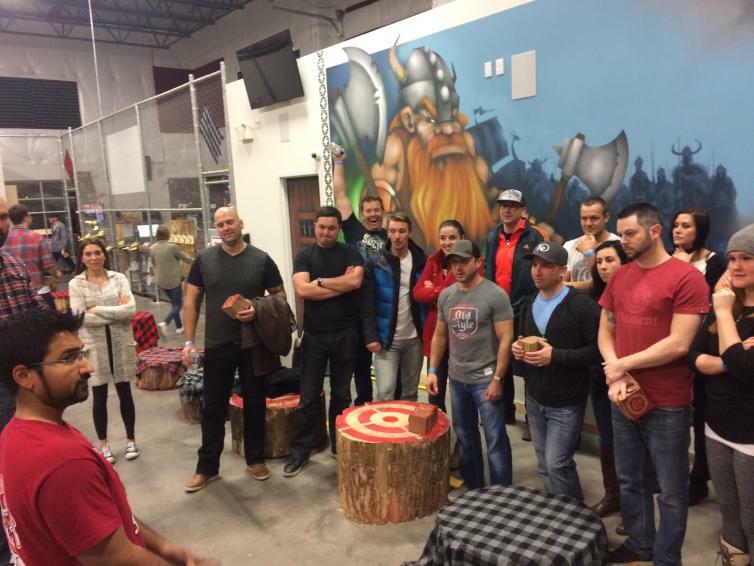 Axe-citing Date Night in Kelowna! Throughout history, humans have used the axe as a tool for many tasks. 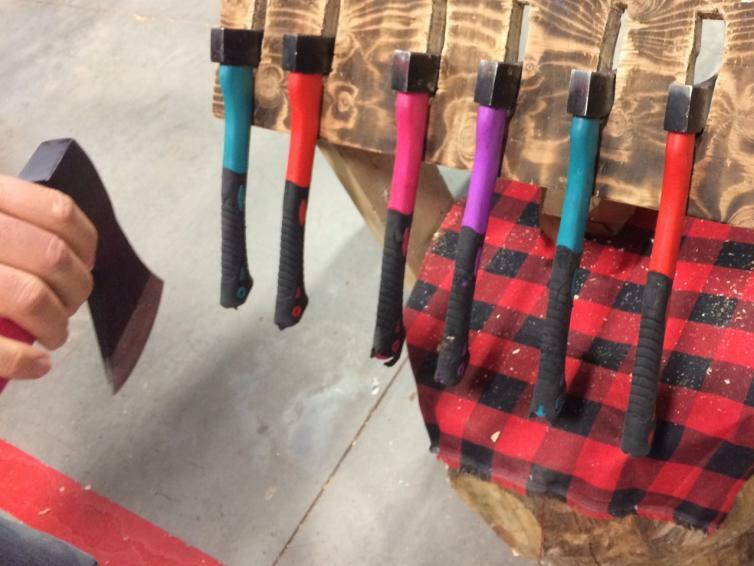 Never did we think we would use an axe for a date night activity but here’s a unique way to keep any relationship axe-citing. 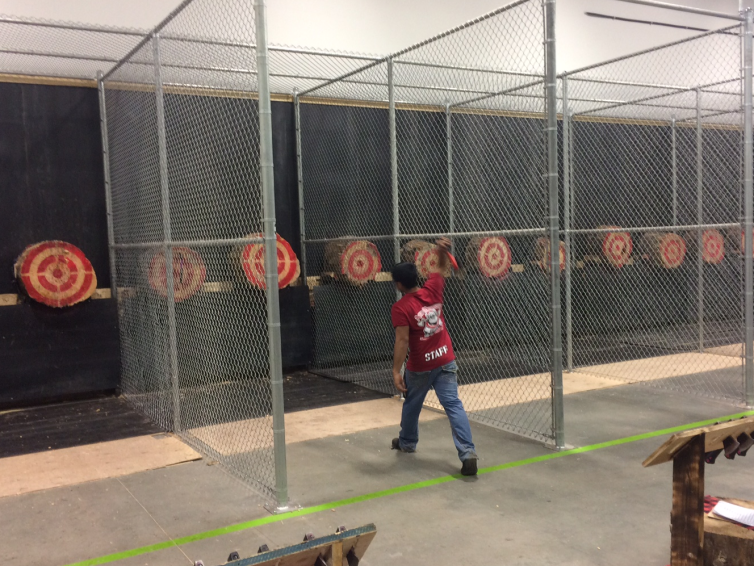 At Kelowna’s Axe Monkeys indoor axe throwing facility, guests can learn how to throw axes and knifes. Safety is a valid concern, and all participants have to first go through a preliminary lesson on the rules and techniques of throwing a sharp object. You are then assigned a lane where you can start testing out your chucking skills. Each lane is separated by a chain link fence. A real Spruce log target is pinned against the wall at the end of each lane. 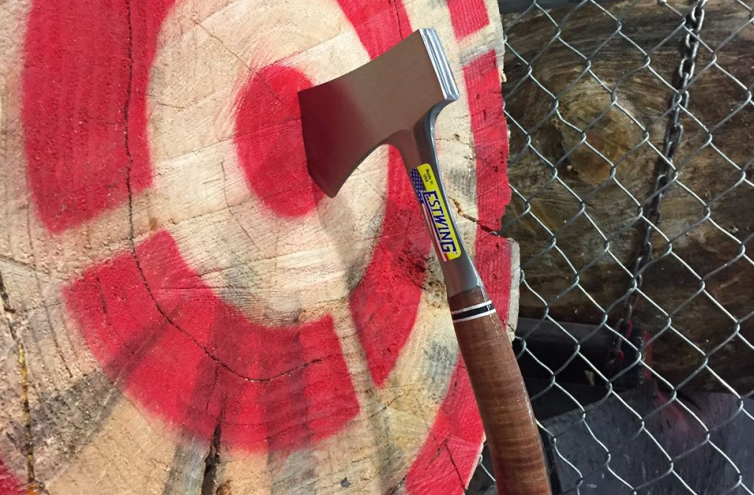 Whether you prefer a one hand throw or a two hand chuck, the goal is to cast your axe or knife into the centre of the target. The facility is open 7 days a week, and you can reserve your spot on their website.